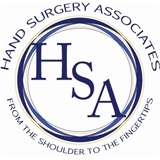 Hand Surgery Associates, P.C. (Englewood) - Book Appointment Online! Many Coloradans live hard and play even harder - including biking, hiking, skiing, snowboarding, skateboarding and countless other sports. Unfortunately, sometimes these activities lead to accidents that injure hands, wrists, arms and shoulders. Hand Surgery Associates' (HSA) top priority is to get you back on the slopes and trails by giving you the best care possible. Our world-class doctors treat a wide variety of injuries from the fingertips to the shoulders. We don't do hips and we don't do knees. Our focus is on your upper extremity. We offer end-to-end care that starts with using state-of-the-art technology to quickly and accurately diagnose your issue. Your experienced doctor will then sit down with you to clearly discuss treatment options specific to you and answer every question you have. Dr. Rovak came recommended to me by 2 family members. Their diagnoses required surgeries but mine did not. It was a relatively easy procedure. Dr. Rovak & the nurses were understanding & very attentive when I almost passed out. :-) They said it happens all the time.